SmartWorking refers to a method of working that promotes employee agility whilst tailoring your work method to your needs, location and skill set. The World of Work and the way in which we work is changing. As a result of technological advances, it is becoming less and less crucial to be in a certain place, at a certain desk or even in a specific city to work. Several job profiles provide opportunity to work remotely, whether it be part time from home or in a co-working space. Whilst we welcome this change, we are keen to see rural areas, which were once victims of mass emigration and isolation, regenerate. We want to see #SmartVillages developing all over Ireland to attract FDI to rural areas and encourage global diaspora to return home. At Abodoo, we believe in offering employees geographic flexibility and employers open access to broad talent pools. Employees should not feel that they must relocate to progress within their career field. We would love to see individuals gaining more opportunity in their local hometowns. By supporting local, we are contributing to local economies and keeping rural business’ afloat. By hiring employees within local areas, we are promoting the large pools of talent that are evident all over Ireland, the UK and further afield. By SmartWorking, we are helping rural areas to regenerate. To incentivise individuals to work from rural areas, we need collective action and great places to work! While much of the action is still heavily centred around Dublin, there are pockets of talent and innovative companies surfacing all over the country. Most recently, Avantcard, a credit card and loan provider based in Carrick on Shannon, was formally, ‘Certified Great’, following a comprehensive survey of its employees. The company has been applauded for its commitment to improving the lifestyles and well-being of its workforce of almost 230 people. They are keen to provide opportunities for career development and a work/life harmony for all employees in their local area. 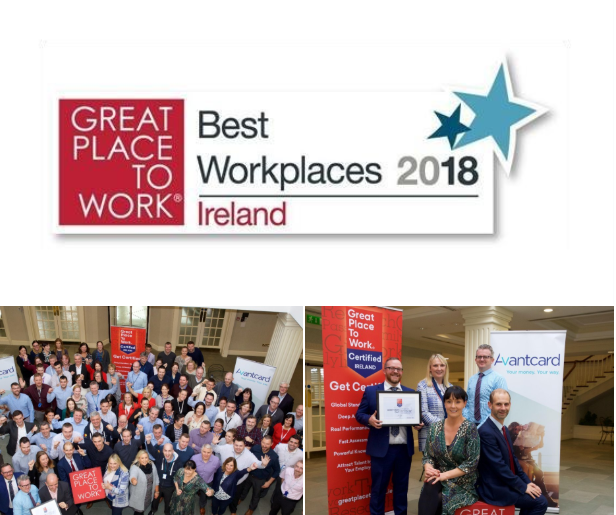 Our people are our greatest asset and we benefit greatly here in Carrick On Shannon from a fantastic and motivated local workforce and we are constantly working to improve our workplace culture to the benefit of those who work for us. This is a wonderful achievement and serves a purpose to #RuralRegeneration. By nurturing local companies, the North West is becoming a vibrant business, energy and commerce friendly culture, attracting major investors including but not limited to Avantcard, MCI, ElastoMetall, Cora Systems and Vistamed aswell as Abott, AbbVie and LotusWorks. It is not only employees that are welcoming the development of their local towns. It is estimated that 20% of employers are now considering moving outside the capital due to rising costs. Lower fixed costs, access to an open talent pools and better work/life harmonies are achievable! Are you a business owner looking to expand? Start by hiring SmartWorkers in rural regions.